Adrian Ward attended Massage Therapy school at Florida College of Natural Health in Orlando Florida in 1998. 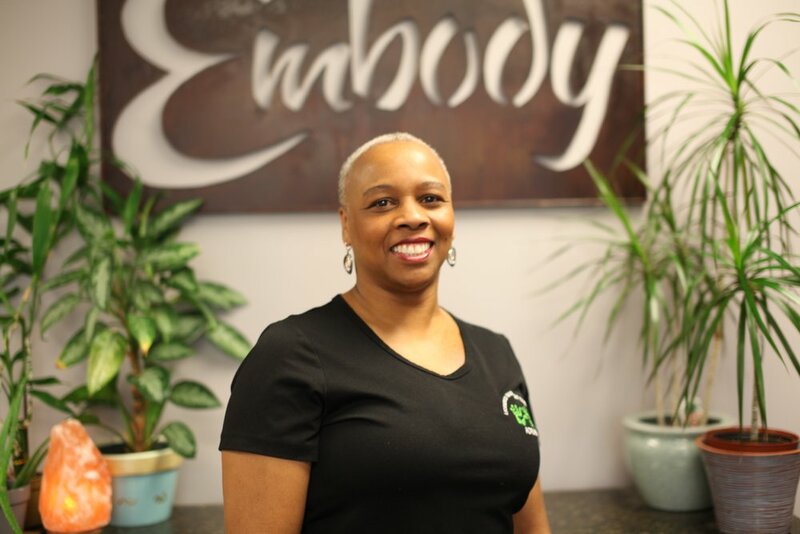 Since completing the program, she has gone on to receive hundreds of hours of additional training of various forms, with extensive training in Lymph Drainage Therapy, Ortho-Bionomy®, CranioSacral Therapy and Pregnancy Massage. Adrian has practiced Massage in multiple settings, including a multi-disciplinary rehab facility, physician's office, Chiropractors' offices, fitness facilities and with sports teams, spas and independent offices. Right now, I'm most passionate about using my skills to help relieve pain and discomfort associated with edema/ lymphedema, particularly pre-/post surgical interventions. It's amazing to see the results and the relief from applying Lymph Drainage Therapy to a person recovering from knee/ hip replacement or plastic/ cosmetic surgery. The work is gentle yet very effective. Planning to start having mini- classes to address Lymphatic self care for those anticipating surgery. Look for that coming soon. I'm also passionate about, and developing, short session to be made available in business office settings to address issues associated with working multiple hours, sitting, or standing, at a desk and the discomforts created due to this activity, such as wrist/ hand or neck and shoulder pain. Look forward to these opportunities possibly popping up in an office near you. "The longer I have practiced I have learned that continuing education and training are essential to enhancing skills, but what is also necessary is the ability to provide an effective, caring touch; touch that can quiet the body and mind." To learn more about Adrian and her massage services, go to www.adrian.massagetherapy.com. Call 205-296-6288 to schedule an appointment or click on the Book Now link on the webpage, Services and Rates of the web address above.